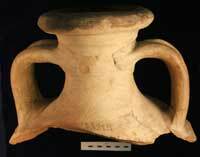 The aim of this website is to provide an online introductory resource for the study of Roman amphorae. In the Roman empire amphorae were pottery containers used for the non-local transport of agricultural products. Their fragments litter archaeological sites of all kinds on land and at sea and have been a subject of serious study for over 100 years. 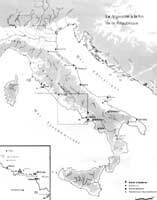 They are crucially important to archaeologists in providing direct evidence for inter-regional and long-distance movement of agricultural products within the empire, and have been an important source of data in the increasingly sophisticated debates about the scale and structure of the Roman economy over the last thirty years. While the study of amphorae also encompasses the stamps, painted inscriptions (tituli picti) and production sites, this website concentrates upon the containers alone. Recent research means that we now know more about the origins, contents and trading patterns of amphorae than ever before. Nevertheless, the field is a highly complex one, particularly for the non-specialist. Large numbers of amphora sherds in museum basements and on archaeological sites across Europe attest to the scale of the amphora trade. Furthermore, research in recent years has revealed that there are very considerable regional variations in the form and clay fabric of amphorae across the Roman empire. Finally, although there is an established framework of study for Roman amphorae, contrasting academic traditions have led to significant differences in approach to their study, particularly in recent years. This is an issue that has been exacerbated by the publication of new data and studies in journals and conference volumes that are often difficult for even the specialist to locate. There are thus only a few archaeologists working in any one country, or region, who can readily relate their finds to published material in another, with any degree of confidence. All of this makes it difficult to gain an overall sense of the full range of amphora production in the Roman provinces. The ideal solution would be to "democratize" amphora studies so that the same range of information could be within reach of all scholars irrespective of country, the quality of libraries or the availability of comparative material. This would allow better informed identifications of amphora finds on archaeological sites, leading to the unsuspected "appearance" of new types in different regions for the first time and, as a consequence, a better appreciation of the flows of trade across the provinces of the Roman empire than is possible at the moment. This remains as yet an unattainable dream given the sheer range of types and fabrics. However, this website is intended as a first step in this direction. The established amphora specialist will be familiar with much of what is presented here. This is because it is aimed at archaeologists unfamiliar with amphorae, curators in museums and students interested in finding their way around the subject of Roman amphorae. Its key feature is that it provides consistently recorded details of form and fabric for each type in a way that will allow for a much broader range of possible comparanda for any one form or fragment than has hitherto been possible. It is hoped that it will thus provide sufficient basic information for the non-specialist to be able to navigate their way around the main amphora types and their often confusing naming systems, discover the main works of reference associated with them, and attempt preliminary identifications of amphora sherds. It is difficult to underestimate the importance of amphorae to our understanding of trade and commerce in the Roman empire. They were primarily designed to transport agricultural produce over long distances, particularly by sea, and are one of the most common finds on Roman archaeological sites of all kinds, especially in the Mediterranean region. They provide a ready source of information about the production, transport and supply of foodstuffs across the Roman empire. 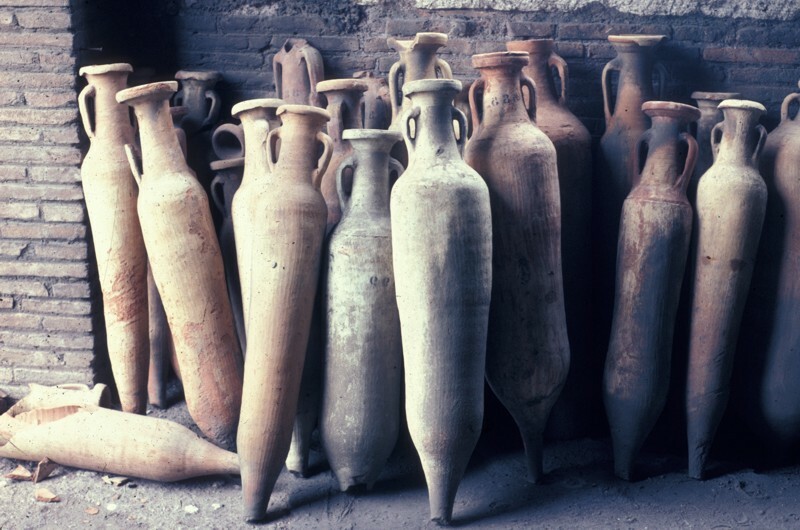 Amphorae were in essence the trade packaging of the ancient world. They come in a bewildering variety of forms and sizes. Most commonly they appear as relatively large and heavy cylindrical (Dressel 1), cylindrical (Dressel 2-4 Italian) or globular vessels (Dressel 20) with two handles and a spike, designed primarily for the transport of liquid commodities such as wine, olive oil or fish sauces. Since they would not stand upright unsupported, they were designed particularly for maritime transport. Excavations on Roman shipwrecks such as the Madrague des Giens off the coast of Provence (Tchernia et alii, 1978) have revealed that amphorae were stacked in the hold for transport with their spikes occupying the voids between amphorae in the layer below: on land, by contrast, the spike would have acted as a handle to facilitate pouring. There are, however, a number of smaller, thin-walled, flat-bottomed forms (such as the Dressel 28 and many of the Gauloise series) which must have been protected from damage while being transported by covering them with straw. Amphora forms can vary from one region to another so that, in conjunction with information recorded on stamps and tituli picti, they can inform the purchaser about origin and contents, in a manner akin to modern trade packaging. This is particularly true of the southern Spanish Dressel 20 which carried olive oil from the province of Baetica. However, since many types, such as the Dressel 2-4, were produced in Italy and copied in areas as far apart as Hispania Tarraconensis and Baetica, Gallia Narbonensis, Africa, Egypt and Britain, the form of the vessel alone could misinform the consumer about the origin, if not the content. The first time that Roman amphorae became an issue of intrinsic interest was with the publication of a group of amphorae from the Castro Pretorio at Rome in a synoptic table by Heinrich Dressel in the late 19th century (Dressel, 1899). The main purpose of the table was to illustrate the vessels upon which stamps and tituli picti from the site were found. Some forty five individual shapes were represented in outline form on a table that has exercised a considerable hold over the minds of scholars ever since, unwittingly providing the framework for much future study of amphorae. This early work was followed up by several studies that began the long process of establishing and refining the chronology and sources of these vessels that continues to this day. However, it was without doubt the works of Zevi (1966), and Zevi and Tchernia (1969) that began to reveal the potential of amphorae as an index of Roman economic activity and seaborne trade. At the same time excavations by Carandini and his team at Ostia began to explore the full range of amphora material in archaeological excavation and to get to grips with the complex problem of assigning dates of manufacture (particularly Carandini and Panella 1973; 1977). The economic implications of this kind of work in the western Roman provinces began to be developed in key works and conferences on Roman amphorae in the 1970s (for example Vallet, 1977). In the course of the 1980s, amphora studies blossomed (perhaps best exemplified by, Empereur and Garlan, 1986; Lenoire, Manacorda and Panella, 1989). 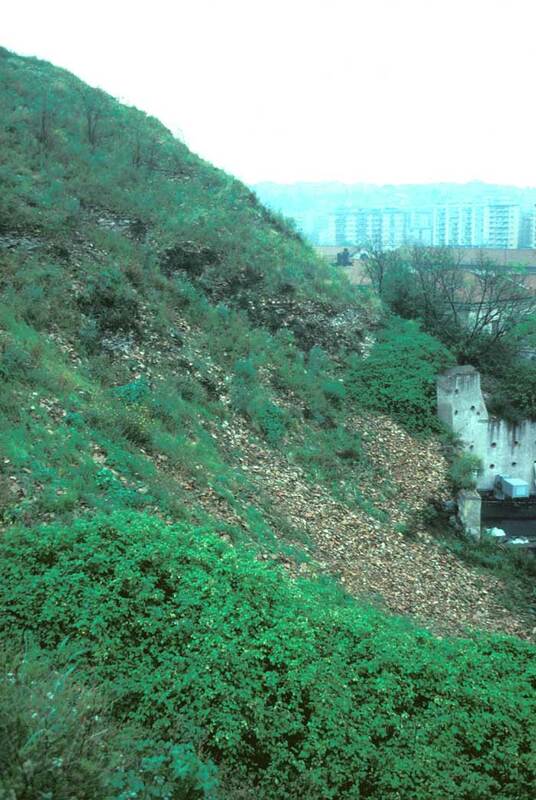 The excavation and publication of production sites in the western and eastern areas of the Roman empire, together with greater emphasis on the importance of nuances in fabric as well as form (viz. Peacock 1971; 1977d), greatly enhanced the range and chronology of known types, and started to provide information about production sites. It also helped to break down the established certainties about the origin of key types, such as the Dressel 2-4 Italian, which were found to have been manufactured in many different parts of the empire, and their contents. Important advances were also made in exploring the potential of amphorae in contributing to economic histories of the Roman empire, both the west and the east, down to the late antique period (Tchernia, 1986; Panella, 1993; Reynolds, 1995). 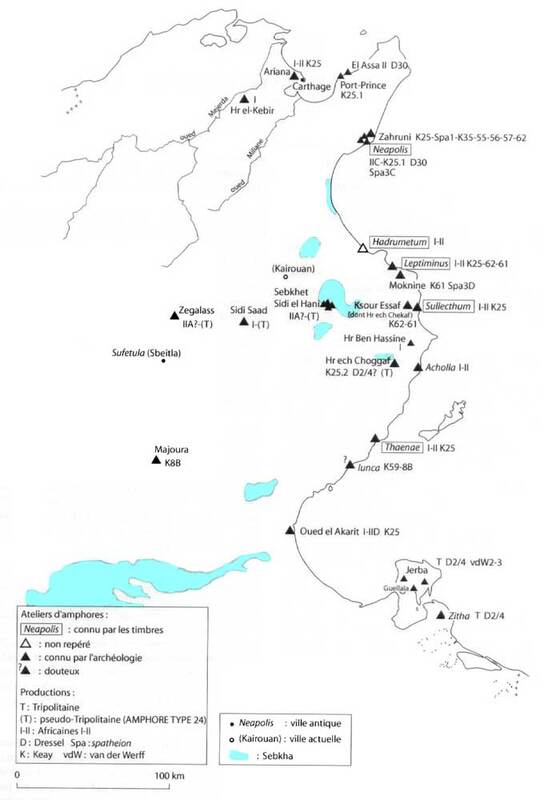 The growing awareness of the potential of amphorae in this regard has led to a further intensity in amphora research in recent years, with the less well understood potential of the eastern Mediterranean beginning to be unlocked (see most recently Eiring and Lund, 2004). All of this has led to what one might term a regionalization of amphora studies across the Roman empire. Conferences on a range of amphora-based topics in a range of European countries have focused upon new evidence for the rhythms of amphora production from a regional perspective, enabling important contributions to be made to on-going debates about the provenance, chronology and content within the broadly established framework for the empire as a whole (see for example Gurt Esparraguera et alii, 2004). This is the context within which some kind of common language in terms of form and fabric is needed for the non-specialist. The stamps and tituli picti which are sometimes found on certain types of amphorae are not a subject of specific study in this website. Nevertheless, a number of the amphora types on this website have direct links to the stamp catalogue hosted by CEIPAC (see under Usage). The complex range of interpretative issues associated with them demands separate platforms for their presentation. 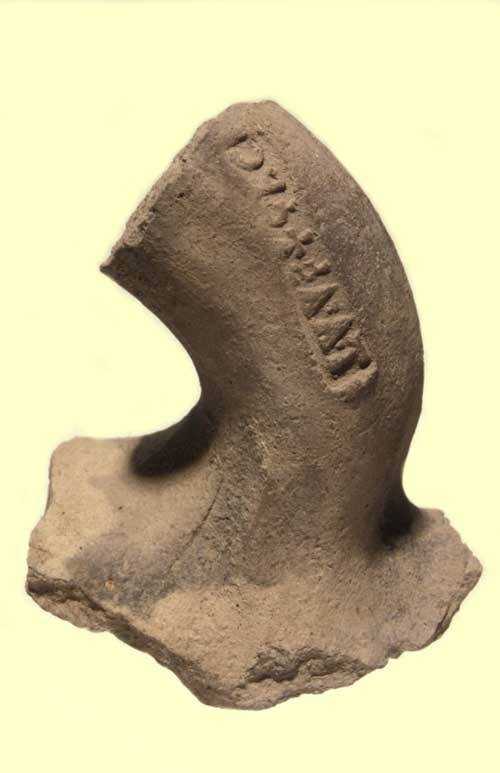 Stamps were abbreviated names and symbols impressed on to the handles, rims or necks of amphorae, while tituli picti were inscriptions painted onto different parts of amphorae after firing. Together, they provide valuable information about the involvement of individuals and places in the production and transport of amphorae, particularly during the republican and early imperial periods (introductory discussion in Peacock and Williams, 1986, 9-14). Much of the information concerning stamps and tituli picti was initially collected by Dressel (1879; 1899) in the Corpus Inscriptionum Latinarum and, in recent years, has been hugely supplemented by numerous corpora that have incorporated material from across the Roman empire. Callender (1965) provided the first synthesis of this kind of information. As far as stamps are concerned, his work has been long made redundant by a myriad of studies fuelled by the discovery of ever larger numbers of more stamped amphorae in excavations. They have been analyzed from the perspective of individual sites (such as Maier-Maidl, 1992; Bezecky, 1998b; Martin-Kilcher, 1994), regions (such as Mayet, 1978), or of individual productions (such as Desy, 1989, Laubenheimer, 1985; Funari, 1996; Remesal Rodríguez, 1997; Miró, 1988 and Pascual Guasch, 1991). However, as with the amphorae themselves there is a need to rise above the local and regional and in the case of stamps to create over-arching corpora that allow individual finds from across the Roman empire to be looked at in context. There are currently three ongoing projects that are doing this (Carre at al 1995; Blanc-Bijon 1998; Panella and Moizio forthcoming;). Tituli picti are found rather more rarely, usually in extremely damp or dry conditions, coming from shipwrecks (for example Colls, et alii 1977; Liou, 1987), sites in the north-western Roman provinces (see for example those listed in Frere and Tomlin, 1994), the Monte Testaccio at Rome (Rodríguez Almeida, 1984; Blázquez Martínez and Remesal Rodríguez, 2003). Both stamps and tituli picti have been the subject of intense and wide-ranging research which has enhanced our understanding of the production, distribution and consumption of foodstuffs, the people involved and broader economic structure of the Roman empire. An idea of the flavour of recent debates on these issues can be found in contributions to Harris (1993) and Remesal Rodríguez (2004). The origins of the amphora as a container for transporting agricultural produce are to be sought in the north Lebanese-Syrian coastal region as far back as the fifteenth century BC, becoming increasingly common in the content of Phoenician and Greek trading systems in the Mediterranean during the earlier first millennium BC (Peacock and Williams 1986, 20ff). 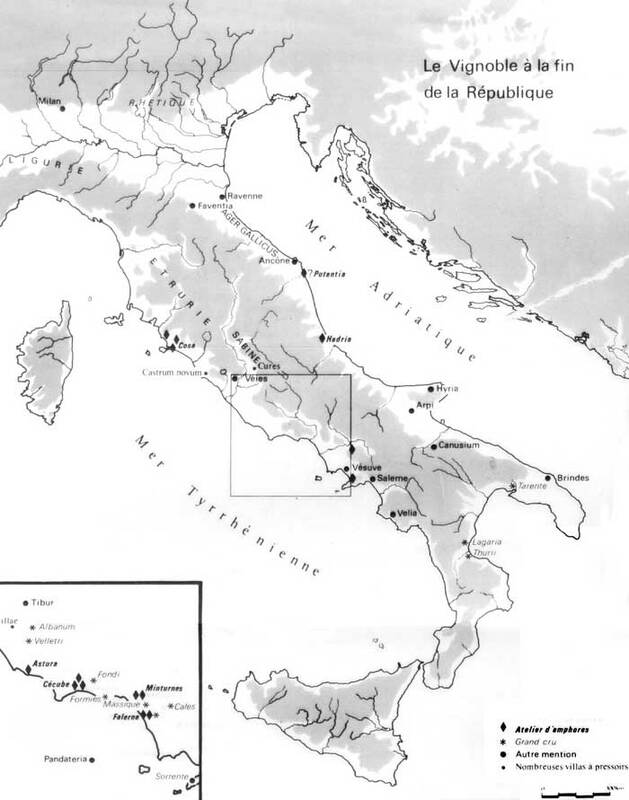 sites in Late Republican Italy. Roman amphora shapes seem to have developed initially out of Roman contacts with the Greeks in southern Italy and Sicily and the eastern Mediterranean during the later fourth and third centuries BC. The earliest forms (particularly the Greco-Italic, Dressel 1 and Lamboglia 2) were manufactured in Italy, although by the middle of the first century BC, significant production of amphorae had begun in Mediterranean provinces, such as Hispania Tarraconensis and Baetica (such as the Pascual I form). The early imperial period in the western empire saw a gradual shift away from large-scale amphora production in Italy. It was increasingly centred on the provinces of Hispania Tarraconensis and Baetica (such as the Dressel 2-4 Baetican, Dr. 20 and Dr.7, 8, 9, 10, 11 forms), Africa Proconsularis (such as the Africana 1 Piccolo and 2A, and Ostia 59 forms), Tripolitania (such as the Tripolitana 1 and 2 forms) and Gallia Narbonensis (such as the Gauloise 4 form). Manufacture was often on a large scale, driven by the food requirements of the City of Rome and army units stationed on the frontiers of the empire, although most provinces including Italy have yielded good archaeological evidence for amphora production until at least the third century AD. 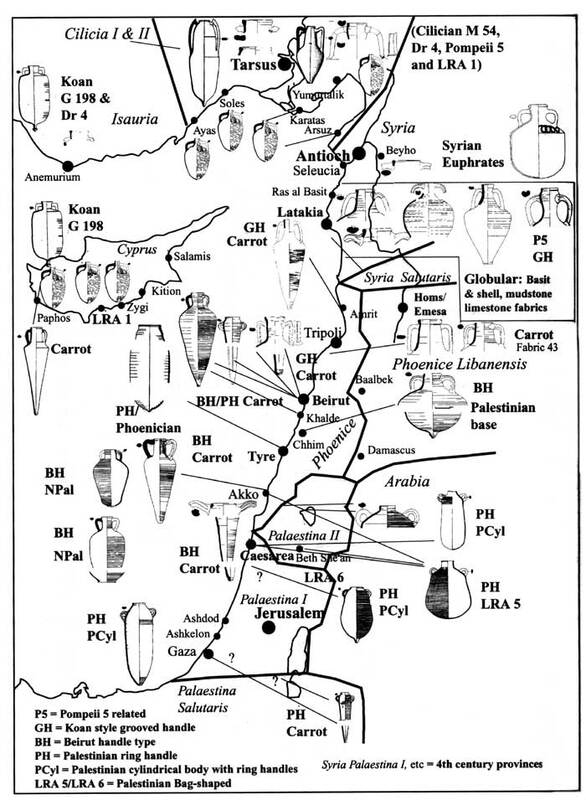 Amphora production also abounded in the eastern Mediterranean, centred on a range of provinces including Cilicia (Pompeii 13 and Pompeii 5), Judaea (Carrot and Late Roman 5 and 6) and Egypt (Egyptian Dressel 2-4 Type). The amphorae of this period are often heavy and cumbersome, with a poor ratio between payload and 'dead' clay. Exceptions are, of course, the flat-bottomed types (such as the Spello type) that are produced widely in Italy, Gaul, Hispania and north Africa. One of the most exciting results of recent archaeological work in both the west and eastern Roman empire has been to show that the late imperial period down to the sixth century and beyond witnessed amphora production on a greater scale than had been hitherto appreciated (Keay 1984). 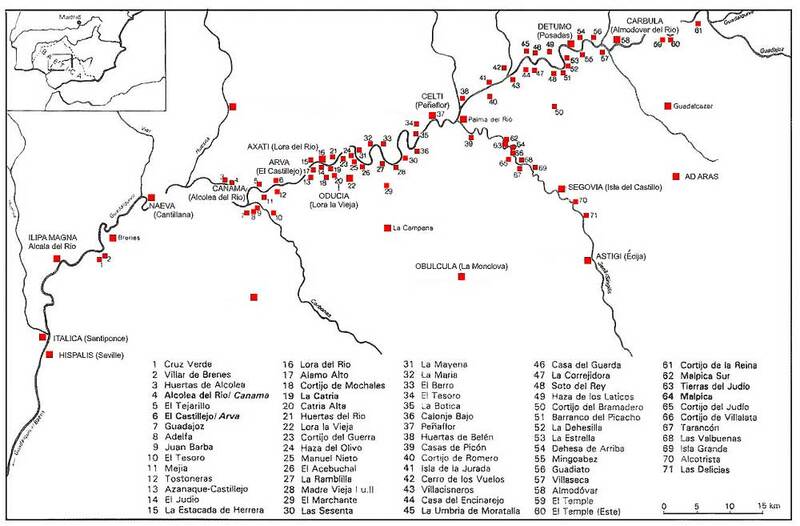 Production in the western Mediterranean was focused primarily on north Africa, principally the province of Zeugitana, and is characterized by lighter cylindrical forms (such as Africana 3A, B and C and Keay 62A, D & E) which carried more commodity for less clay weight. This innovation may be related to improving skills in the pottery industry or perhaps to different organization of production away from the estate to more specialized modes. 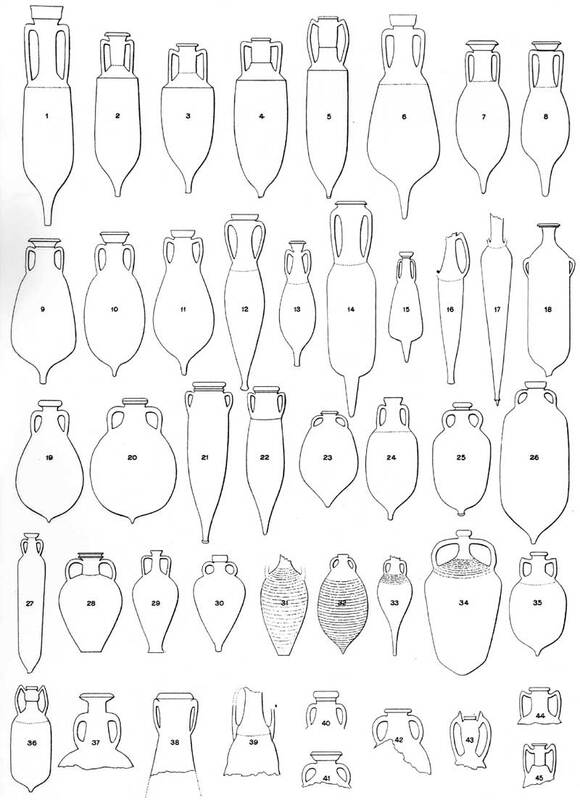 Vigorous manufacture of relatively small and varied forms continued in the east Mediterranean, including along the coasts of Asia Minor, Syria, Palestine and Cyprus (such as Late Roman Amphora 1, 5 and 6) (Reynolds, 2005a), and down the Nile valley of Egypt (such as the Late Roman Amphora 7) (Majcherek, 2004). This was driven, in part at least, by the consequences of the establishment of Constantinople as a new centre of power in the earlier fourth century, as well as the continued prosperity of towns.